Did you know that it can take a burglar only seconds to break into your home using only basic tools even if you have multi-point locks fitted to your UPVC & Composite doors? What is lock snapping / cylinder snapping? Burglars have discovered what locksmiths and the door industry have know for years. It doesn't matter how many hook or dead-bolts you have fitted to your door the weakest point is the cylinder lock. Due to weakpoints in most cylinder locks - they have very little material to give a robust strength to the cylinder meaning that using simple tools a burglar can "snap" the cylinder and gain access to the door mechanism and open the door in seconds. You may be wondering why you are not aware of this already? In the past the police have not recorded the means of forced entry so the method has largely been kept a secret. But with easy access to information via the internet "lock snapping" has been stedily increasing since 2005. The recent crime servey for England & Wales identified that forced lock entries were still the most significant method of entry in buglaries and that the front door is the most common point of entry. According to the DHF (Door HArdware Federation) there are 45 million residential entrance doors in the UK with over half of these vulnerable to a "lock snapping" attack. How can I protect myself against a lock snapping attack? New standards for cylinders have now been developed. 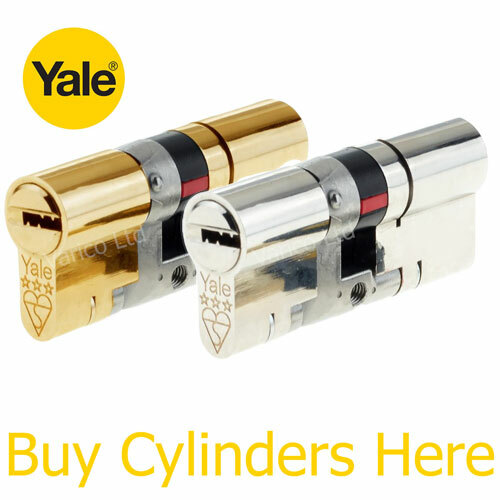 The new British Kitemark TS007:2014 3 star rating and the Sold Secure Diamond standard now test euro cylinders specifically for lock snapping as a means of forced entry (prior to this Kitemarked Euro Cylinders were not tested for lock snapping). These tests simulate a manual forced entry by using known methods of attack under a specific time frame using a range of tools that would be available to an opportunist burglar. The TS007 and Sold Secure testing is similar but the Diamond Standard is considered the most robust due to the additional use of lock snapping bars and drills. It is important to note that only locks that have a 3 star rating are "snap secure" - a 1 star kitemarked lock requires additional security handles or cylinder guards of a 2 star rating to ensure that the lock can be classified in the same way. 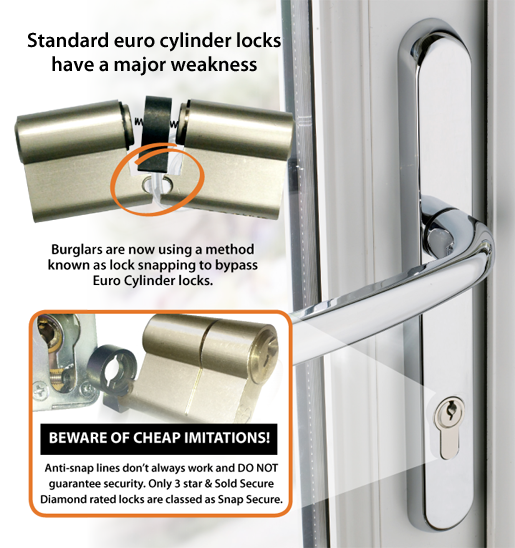 The Avocet ABS Euro Cylinder has passed all of the latest standards and is a 3 star Kitemarked (TS007:2014) Sold Secure Diamond Standard Lock. 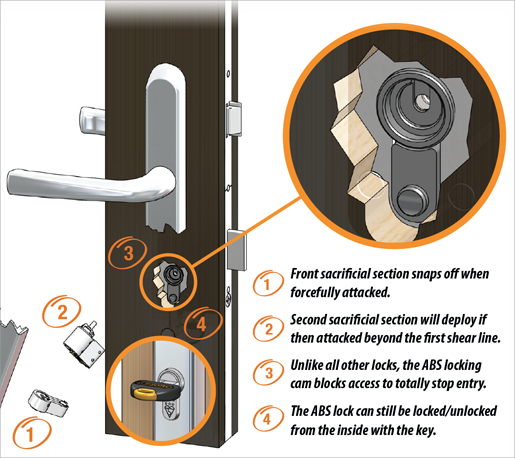 With its unique patented snap secure technology the ABS Euro Cylinder Lock is proven in the real world to effectively secure against lock snapping. The ABS snap secure cylinder is the only retro-fit lock on the market that has met the 3 star requirement of the TS007:2014 British Kitemark and has also passed the master locksmith association's highest standard - the Sold Secure Diamond rating. The Avocet ABS Euro Cylinder also holds Secured by Design accredidation - the police preferred specification. The Avocet ABS Euro Cylinder is: Anti-snap, Anti-bump, Anti-pick and Anti-drill. 1. Break-Off Front. A front sacrificial section which will break off if attacked. The lock will still be operable with the key on the remaining part of the cylinder. 2. Snap Secure Technology. The Avocet ABS Euro Cylinder Lock takes lock security to another level with it's patented system that locks the cam into position if the second portion of the ABS lock has been snapped. 3. A Total Barrier! If sections one and two are removed in an attack the patented locking cam and blocking mechanism will provide a total barrier against entry. The ABS lock will still be operable from the inside of the property allowing the property owner to securely open and close from within. The Avocet ABS lock also has many more security features which when combined give ABS the Master Locksmith Associations highest rating available - the Diamond standard! 4. Magnetic Pin Technology. Advanced magnetic pins provide the ultimate security against lock bumping - the internal pins can only be moved by inserting the correct key whereas with standard keys the pins can be made to jump to the shear line using a bump key. 5. Hardened Anti-Drill Pins. ABS has hardened anti-drill pins throughout the cylinder - before and after the sacrifical sections for complete security. 7. Key registering. Each ABS lock comes with its own security key card which enables our Elite centre's such as ourselves to cut replacement keys for you. When you get your ABS locks you have the option to register your keys to your property - the benefit of this being that you have total control over who has a copy of your keys. 8. Keyed Alike options. 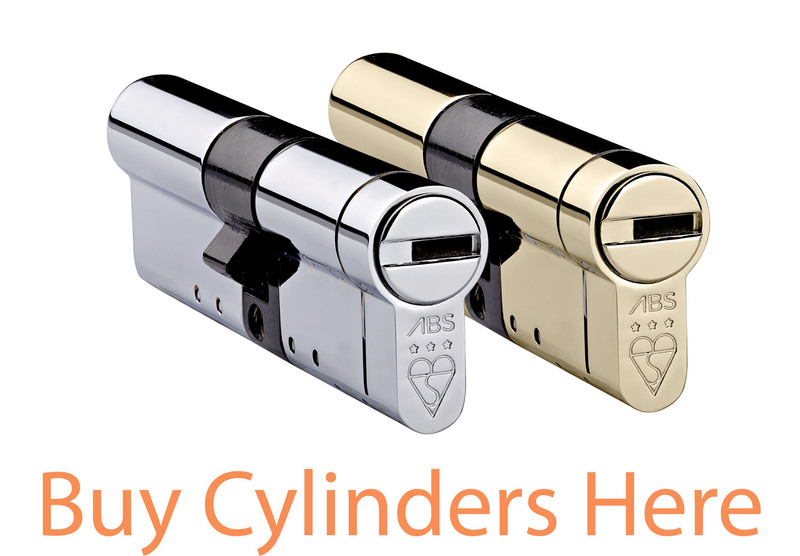 You can order your ABS euro cylinders, rim cylinders and padlocks to all work off the same key giving the benefit of a one key home. *Changing a euro cylinder is a simple DIY job in most cases but you have to ensure that you measure for your replacement cylinder accurately (the ABS cylinder is a handed lock so you have to specify the internal measurement first and then the external measurement - see the guide) and if you are unable to access the fixing screw we would recommend consulting a qualified locksmith to carry out the replacement. If your door is several years old we would always recommend that you ask a professional locksmith to check the security and quality of your door and door bolt.